Free breakfast for everyone! Delicious deals don’t always come in the form of priceless. By the same token, Chick-fil-A is right at home here in Atlanta and they come with the best of deals. Everyone should love breakfast. You should make it your duty to start your day out right with a delicious meal. 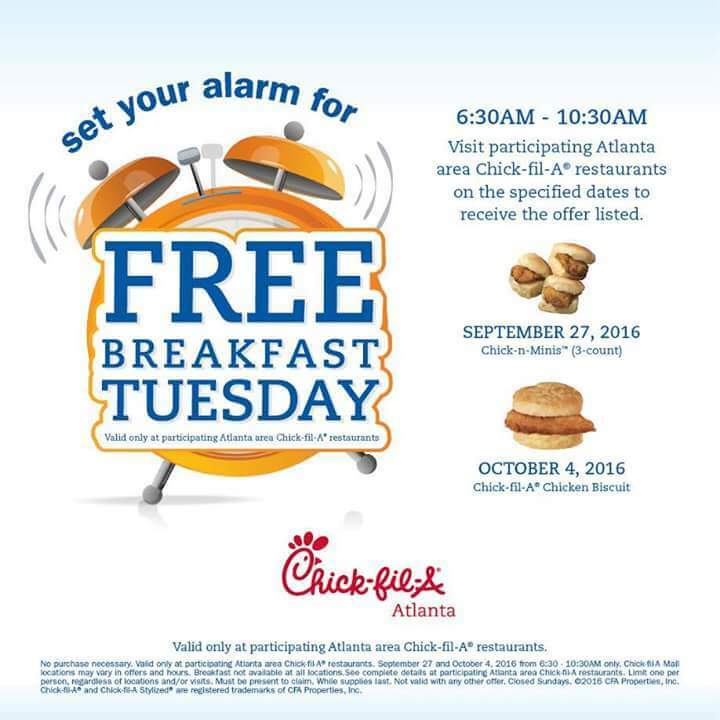 On Tuesday, October 4 take advantage of Free Breakfast Tuesdays at Chick-Fil- A at participating locations from 6:30 am t0 10:30am . The breakfast deal described is valid only in the Atlanta area locations. As a matter of fact, no purchase is necessary and limited to one per person.